As a pediatrician and mom, I have spent numerous hours listening to other moms' concerns about potty training. There are many misconceptions about achieving daytime and nighttime dryness in children and understanding when a child is fully potty trained. In fact, a recent GoodNites® brand study revealed that 43 percent of parents think they can train their child out of bedwetting (or nighttime wetting), which is untrue. One in six children between the ages of 4 and 12 in the U.S. wet the bed at night and could suffer from nocturnal enuresis — the medical term for bedwetting. It’s more common than people think, and I want to provide some clarity to help parents make sense of what is going on and alleviate their confusion or frustrations. Many parents often think that once daytime potty training is successful, a similar process can be taught to prevent bedwetting, but that's not the case. Nighttime dryness occurs when the bladder grows sufficiently in size and its nerve signals to and from the brain mature. "Dry nights come with time and patience, and attempting to train your child out of bedwetting will only create unnecessary stress." This brain/bladder connection may take many years to develop and varies among individuals. Dry nights come with time and patience, and attempting to train your child out of bedwetting will only create unnecessary stress. 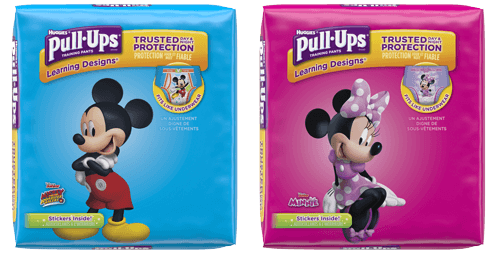 Training pants are intended for toddlers who are still in the process of potty training. GoodNites products are designed for nighttime usage and provide extra absorbency and outstanding protection to help children feel comfortable at night. Training pant sizes are typically for toddlers, but GoodNites are for growing children age 4 and up who are already potty trained.